This community was borne out of the collective passion of three busy therapists who love Indian Head Massage who had a desire to create a forum for support and to share this wonderful therapy – Amy Taylor, Mary Atkinson and Sue Adlam. We are doing this voluntarily in our “spare” time without any remuneration. We will endeavour to provide the level of support that we would like to, given that we are all busy doing our various self-employed work. Who knows what this may grow into – but at this point in time, we hope that the community will evolve and grow within the constraints of time, geography and finances! Amy’s philosophy is that when you take a step on the path of holistic therapies it is a journey that never ends and she constantly updates her own skills and industry knowledge to enable her to teach all the subjects that she loves to the highest standard. Amy has three successful therapy companies, two very busy wellbeing centres: Purple Turtle Wellbeing in Brighton and Purple Turtle Therapy in Hove, East Sussex and the Purple Turtle Academy which provides inspiring courses in wellbeing and therapies. Here she found she could inject the enthusiasm and belief she has found for all her chosen holistic therapies into sharing her knowledge and passion with others. Amy’s courses have developed with her personal experiences influencing her areas of speciality. She teaches workshops for self-development, VTCT qualifications to start a holistic career and CPD courses to keep therapists up to date with the latest industry trends. Her teaching has taken her around the world to leading salons, spas and wellbeing centres and her specialities include Indian Head Massage (of course!! ), Reflexology, Pregnancy, Natural Facelift Massage, Holistic Facials and Deep Tissue Hands Free Massage. Amy supports local colleges and often lectures to students on business having had so much experience on setting up and growing a holistic business. She was recently very proud to accept the Golden Alumni award from City College Brighton and Hove in 2015 for her work in this area. Mary Atkinson is an award-winning complementary therapist and author of five books on massage including Healing Touch for Children and The Art of Indian Head Massage. The latter was one of the first books on Indian Head Massage, published in 2000. Mary has been teaching Indian Head Massage since 2002 and runs her own FHT accredited Diploma in Indian Head Massage and CPD courses. She has worked for many years at a local hospice and has a special interest in therapies for palliative care. In 2013, Mary launched the Story Massage project – which combines the benefits of nurturing touch with storytelling. It is fun, interactive and inclusive for all. Sue Adlam qualified in Indian Head Massage in 2013 (trained by Mary Atkinson) and aromatherapy with massage in 2014, having previously been a primary teacher. Sue has recently started training with CNM in Herbal Medicine and Naturopathy to sit alongside aromatherapy which she plans to extend to Clinical Aromatherapist in the coming months. As a keen gardener and lover of all things organic, this is a natural extension to her existing skills. Passionate about holistic wellbeing, she has never once regretted making a career change! 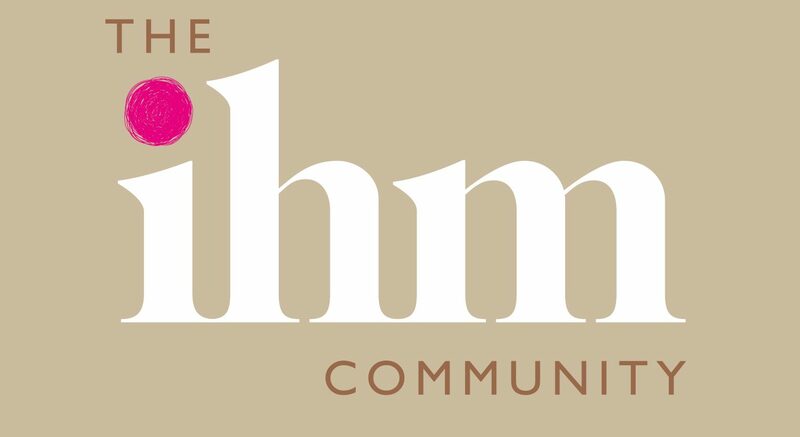 Although one of the founding members, Sue is not actively involved with the IHM Community at this point in time and is taking a sabbatical for health reasons.